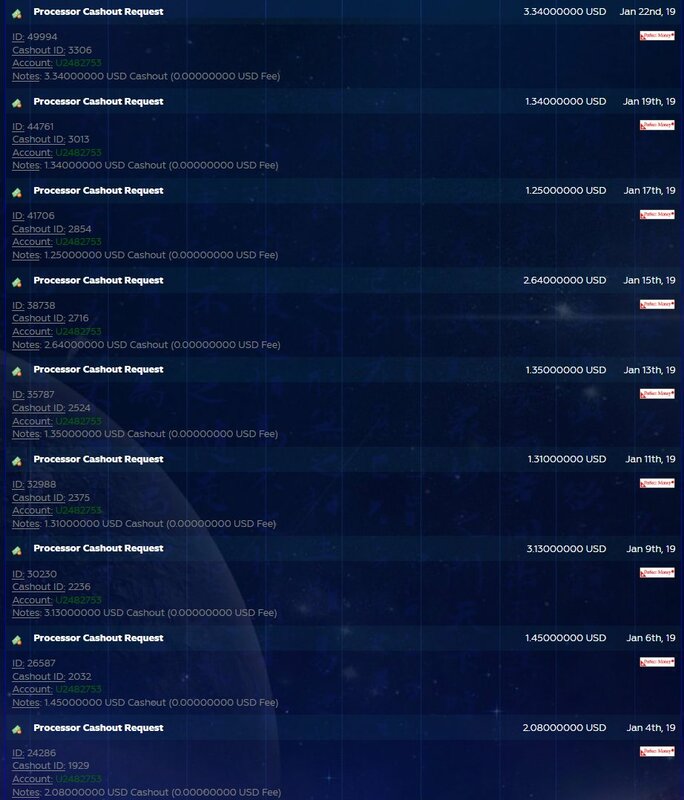 Even it was active and paying for few months, program got no inflow from the hyip industry or outside since admin made bad advertisement marketing for program. It dried out and died and went offline. Payments accepted from PerfectMoney, Bitcoin, Payeer, Ethereum, Litecoin, Dash, Ripple and NixMoney. All operations including withdrawals are processed instantly. Minimum deposit is ten dollars in the first plan. Affiliate system is designed one level of 10% from direct referrals deposit amounts to your account balance which you may invest or withdraw. Program website is hosted on Cloudflare with unique custom script and design. Connection installed with working SSL: CloudFlare Inc ECC CA-2 valid from 01 Nov, 2018 to 01 Nov, 2019 – CloudFlare, Inc.
You would receive $1 daily to your account balance on every calendar day. These earnings can be withdrawn at any time. Complete cycle will take 10 calendar days and then your full investment principal is returned to your account balance ($50). Total: $1 * 10 = $10 net profit. With returned principal you have earned back $60 (120%). Jan 8, 2019: Finished round #1 with a result of 120% following 10 USD profit. Dec 29, 2018: Joined with 50 USD deposit. 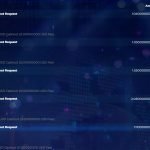 This piggybank type hyip program BlueSkyInvest is no longer processing payments as it scammed since January 11, 2019. Payments accepted from Bitcoin only and are processed instantly. Low minimum deposit to all plans 0.0002 BTC ($1) and there is no maximum limit. Affiliate system is designed two levels of 4% – 3% from multi-level referrals deposit amounts to your account balance which you may invest or withdraw. Program website is hosted on Cloudflare with licenced Gold Coders layout script and connection installed with Extended Validation SSL: EV SSL valid from 15 Nov, 2018 to 15 Nov, 2019 – DigiCert Inc.
Jan 3, 2019: Released deposit and made 127% following 31.05 USD profit. Dec 26, 2018: Joined with 115 USD deposit. To claim RCB, request it here within 72 hours after your deposit and you will receive additional 2% of your investment back from me. No prize was collected, nothing to share. Latest investor: knamit14. Discussion on BeerMoneyForum in blueskyinvest thread. This fast to short term sleeper program Forex Street LTD is no longer processing payouts, it scammed on Jan 22, 2019. 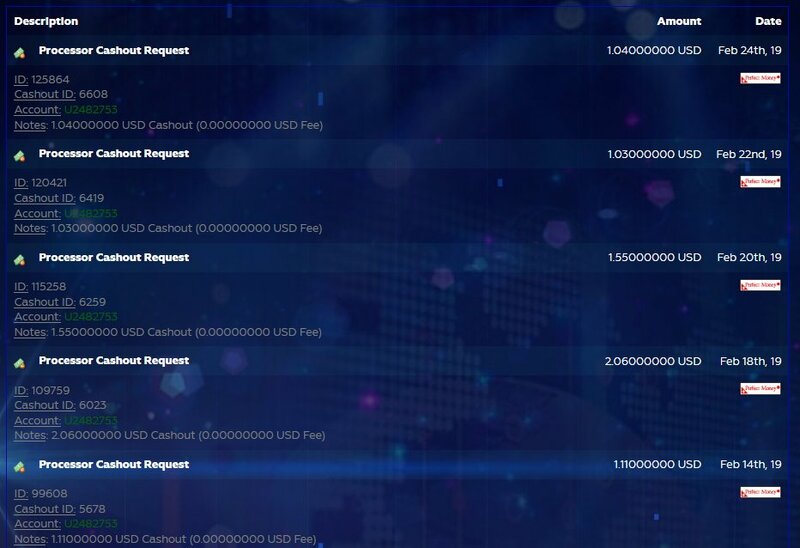 Over one month of stable payouts in the fast term area, within time the deposit amounts have increased but admin has fixed deposit limit per member which is 300 USD and one active deposit allowed. Since it’s a sleeper with basic Gold Coders script design, it is yet weak. Program is expected to be upgraded with new design and investment plans soon. Payments accepted from PerfectMoney and Payeer only, withdrawals are processed manually within 24-hour time frame. Low referral program, since it’s a sleeper – one level of 1% from direct referrals deposits to your account balance, which you may withdraw or invest to a plan. Dec 31, 2018: Finished round #1 with a result of 109.7% following 10.70 USD profit. Dec 30, 2018: Re-invested deposit #1 of 50 USD to 1-day plan. Dec 29, 2018: Re-invested deposit #1 of 50 USD to 1-day plan. Dec 28, 2018: Deposit #1 matured, re-invested 50 USD to 1-day plan. 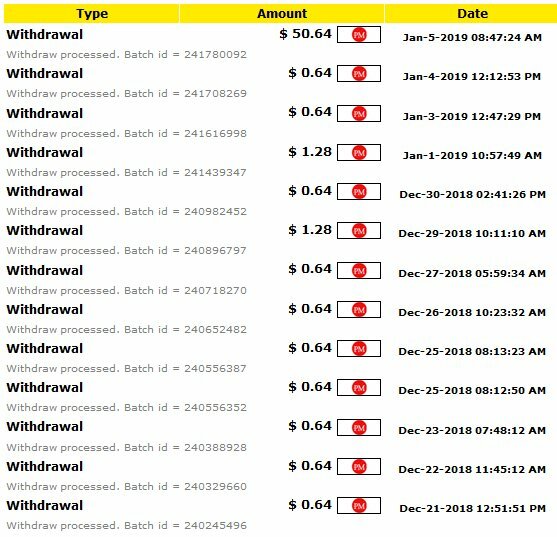 Dec 25, 2018: Joined with 110 USD deposit, to 3-day plan. Discussion on BeerMoneyForum in forex-street thread. This fast term hyip program PARIS TRADE LIMITED is no longer active as it stopped payments processing since Dec 28, 2018. It’s a scam. Payments are accepted from PerfectMoney, Payeer, Bitcoin, Litecoin and Ethereum. Withdrawals are processed manually in 24-hour time frame, deposits recorded isntantly though. Affiliate system designed one level of 5% from direct referrals deposits amounts to your account balance, which you can withdraw or invest. You don’t need to have active deposit to earn referral commissions. Program website has unique design, it works on licenced Gold Coders platform and it’s hosted on DDoS-Guard with active SSL connection: PositiveSSL valid from 12 Dec, 2018 to 13 Dec, 2019 – COMODO CA Limited. Dec 24, 2018: Finished round #1 with a result of 104% following 2 USD profit. Dec 23, 2018: Re-invested deposit #1 of 50 USD to 1-day plan. Dec 22, 2018: Joined with 50 USD deposit, to 1-day plan. Discussion on BeerMoneyForum in paristrade.credit thread. Program was never redesigned, it ran two 20-day cycles then plan was changed to 5-day cycle and program ran total almost three months. Payments processing is manual, the deposits are recorded instantly though and currently only one payment option accepted which is PerfectMoney. Affiliate system is low of 1% from direct referrals deposit amounts to your account balance. Program is hosted on Cloudflare and is running on licenced Gold Coders script with SSL connection: EssentialSSL valid from 14 Nov, 2018 to 15 Nov, 2019 – COMODO CA Limited . You would receive $0.64 daily to your account balance on every calendar day. These earnings can be withdrawn at any time. Complete cycle will last 5 calendar days and then your full investment principal is returned to your account balance ($50). Total: $0.64 * 5 = $3.20 net profit. With returned principal you have earned back $53.20 (106.4%). 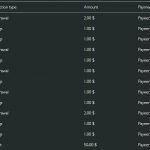 Feb 4, 2019: Released deposit #2 and made 125.6% following 12.80 USD profit. Jan 30, 2019: Re-invested deposit #2 of 50 USD. Jan 24, 2019: Re-invested deposit #2 of 50 USD. Jan 19, 2019: Re-invested deposit #2 of 50 USD. 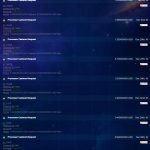 Jan 5, 2018: Released deposit #1 and made 119.2% following 9.60 USD profit. Dec 30, 2018: Re-invested deposit #1 of 50 USD. Dec 25, 2018: Re-invested deposit #1 of 50 USD. Dec 19, 2018: Joined with 50 USD deposit. Program scammed, contest ended. Minimum amount required was 20 USD to participate. This program is no longer active as it scammed. It was designed to be fast scam and a fraud against all participants in the program. Launched on December 11, 2018 in a middle of hot season. 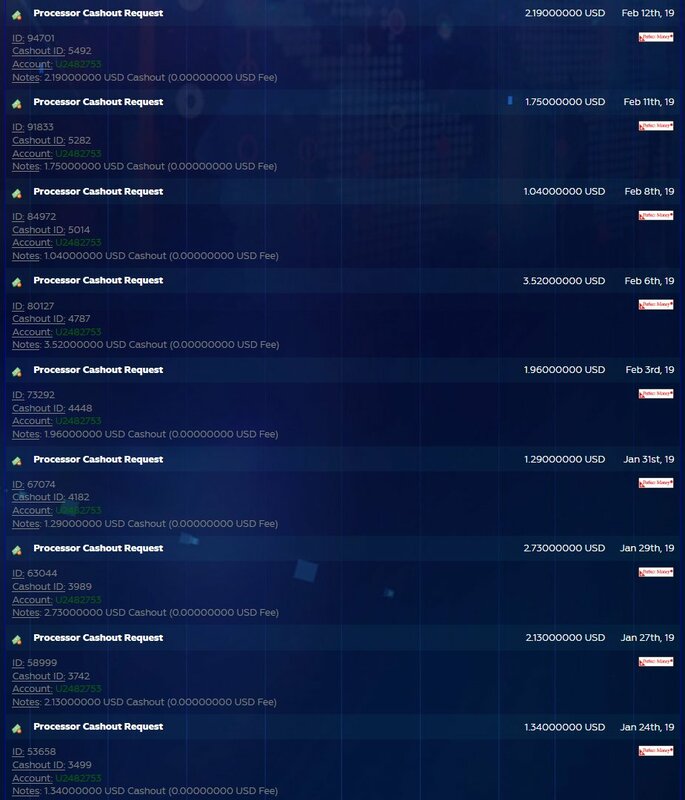 It have managed the first week well by not overflowing large and dangerous amounts of deposits. Gaining continuous stable and good growth in popularity so far. Withdrawals processed from 1 USD and following payment options accepted of PerfectMoney, Payeer, Bitcoin, Litecoin and Etehereum. All operations including withdrawals are processed instantly in program. Affiliate plan is three levels of 7% – 1% – 1% from multi-level referrals deposit amounts to referrer account balance. Website design is unique and the script licenced Gold Coders. Program is running on active SSL connection: PositiveSSL valid from 25 Nov, 2018 to 26 Nov, 2019 – COMODO CA Limited. 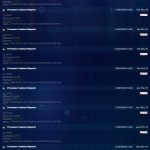 Dec 22, 2018: Scammed, my result was 8% following 46 USD loss. Dec 17, 2018: Joined with 50 USD deposit. Latest investor: naised3. Winner received 50 USD prize. Discussion on BeerMoneyForum in insta4x thread. This fast term program HAPPY7 is no longer processing payouts as it scammed. Payment options for deposit and withdrawal are PerfectMoney, Bitcoin, Payeer and Ethereum. Payments processing is manual and may take up to 48 hours, deposits are recorded instantly though (3 confirmations for cryptocurrencies). The affiliate system is one level of 5% from direct referrals deposit amounts to your account balance, which can be invested or withdrawn. 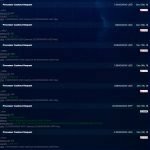 Website is hosted on OVH SAS and layout script installed licenced Gold Coders with unique design. Free SSL connection by Let’s Encrypt Authority X3. Dec 14, 2018: Finished round #1 with a result of 112% following 6 USD profit. Dec 10, 2018: Joined with 50 USD deposit, to 3-day plan. 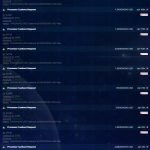 Discussion on BeerMoneyForum in happy7 thread. This short to medium term program ELLAOS LTD is no longer processing payouts as it scammed. They were active for 41 days. Payments are accepted from PerfectMoney, Bitcoin, Payeer, Ethereum, Litecoin, Bitcoin Cash, AdvCash and Ripple. All operations including withdrawals are processed instantly in program. The affiliate program is two levels of 5% – 1% from multi-level referrals deposit amounts to your account balance. Program is working on unique advanced script and is hosted on Cloudflare with active Extended Validation SSL: EV SSL valid from 18 Oct, 2018 to 18 Oct, 2019 – DigiCert Inc.
Dec 13, 2018: Finished round with a result of 115% following 7.50 USD profit. Dec 3, 2018: Joined with 50 USD deposit. Discussion on BeerMoneyForum in ellaos thread. Earliest investors were near profit zone, but program overall was a targeted scam as no one made to green profit zone and most of the investors who participated lost their investment partly or even in full. This was one of the planned full scale scam project to maintain a fraud for all the investment looking personalities. Administration had good continuous growing inflow and great support, but their descicion was to close program and stop contacts with all the supporters to show what greed looks like in the most soulless way. 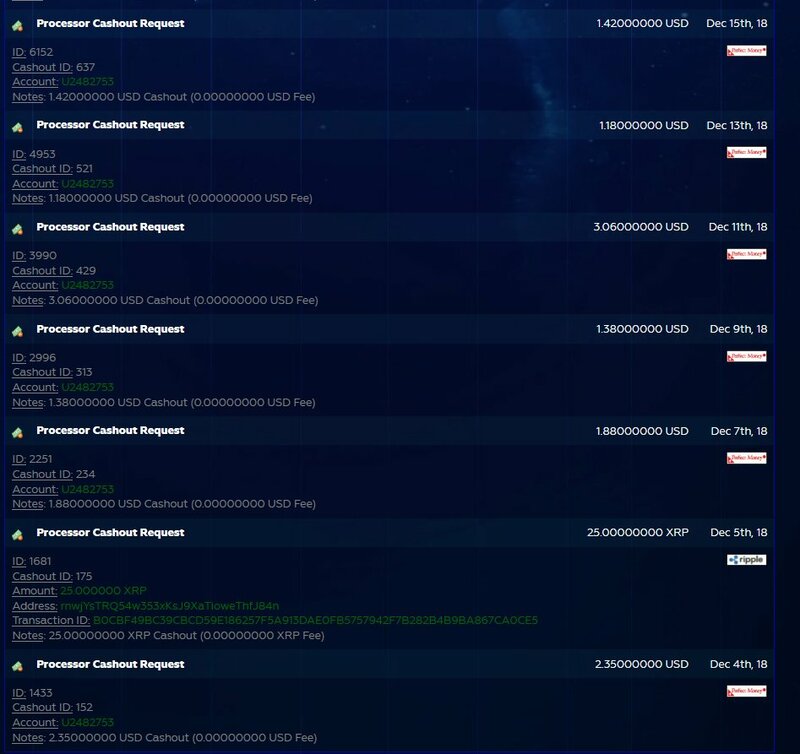 Great example of the worst in hyip industry. Payment options for deposit and withdrawal are PerfectMoney, Bitcoin, Payeer, Ethereum, Litecoin, Dash, Bitcoin Cash, Ripple and Pivx. Payments processing is manual and may take up to 48 hours, deposits are recorded instantly though. 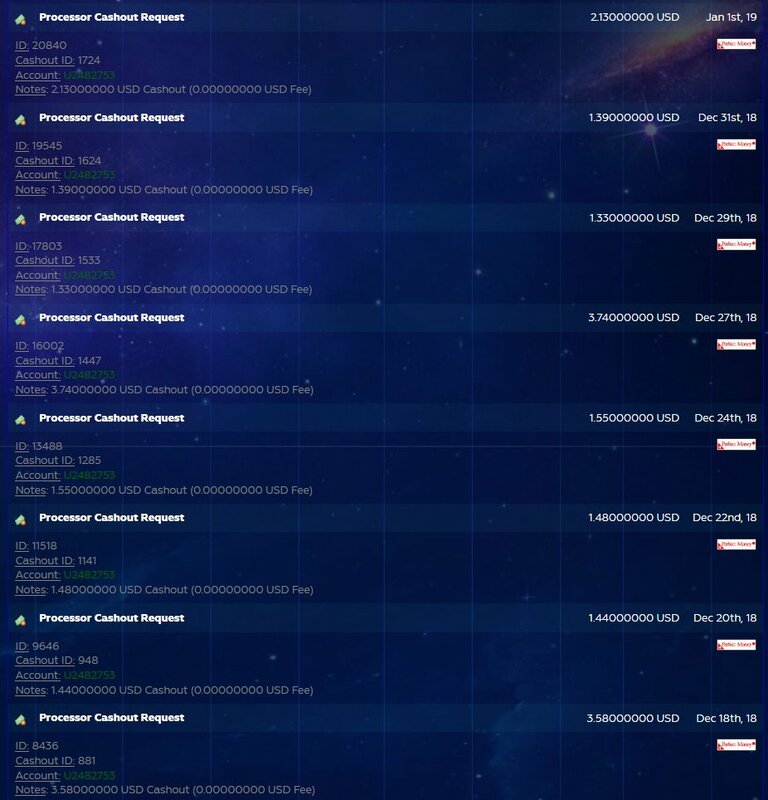 Account balance can’t be re-invested, but is only for withdraw. The affiliate program is seven levels deep of 5% – 3% – 2% – 2% – 1% – 1% – 0.5% from multi-level referrals deposit amounts to your account balance. Website hosted on X4b.net. Script installed custom advanced unique. SSL installed with Extended Validation: GeoTrust EV RSA CA 2018 DigiCert Inc, valid: 08 Aug 2018 – 08 Aug 2019. You would receive $0.25 to $0.75 daily (Tuesday – Sunday), higher earning on Mondays, up to $2.50 to your account balance. These earnings can be withdrawn at any time. Complete cycle will take until 150% earned, approximately 70 calendar days. Your investment principal is included in daily earnings. Total: $0.35 * 70 = $25 net profit. With included principal you have earned back $75 (150%). You would receive $2.50 to $7.50 daily (Tuesday – Sunday), higher earning on Mondays, up to $25 to your account balance. These earnings can be withdrawn at any time. Complete cycle will take until 150% earned, approximately 70 calendar days. Your investment principal is included in daily earnings. Total: $3.50 * 70 = $250 net profit. With included principal you have earned back $750 (150%). Mar 1, 2019: Scammed, my result was 70.5% following 29.46 USD loss. Dec 2, 2018: Joined with 100 USD deposit. Contest ended since program scammed, there was only one participant and the winner has been contacted to claim prize.